Nintendo Play Area at BAM10! 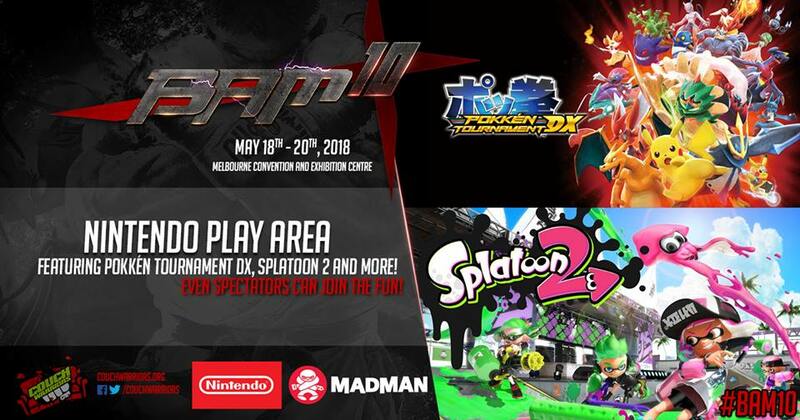 Couchwarriors are proud to announce our Nintendo Play Area, thanks to NintendoAUNZ and Madman, We’ll have competitive and casual play for Splatoon 2 and Pokkén Tournament DX, as well as some casual setups! The Nintendo play area will be impossible to miss with a beautiful booth build themed to the games. 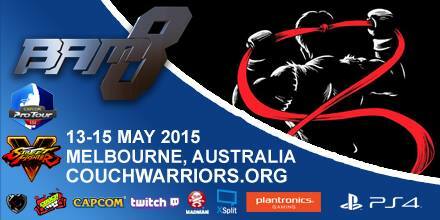 Expect to see more team ups with CouchWarriors, Madman and Nintendo at the upcoming Madman Anime Festival events! Meanwhile, look forward to the Nintendo Play area. All players welcome – the area is open even with a Spectator Pass!